Product categories of road header, we are specialized manufacturers from China, Road Header, Crawler Road Header suppliers/factory, wholesale high-quality products of Adjustable Speed Road Header R & D and manufacturing, we have the perfect after-sales service and technical support. Look forward to your cooperation! The heading machine is a machine used to open the roadway on a straight surface. Divided into ordinary machine and tunnel boring machine (TBM). Among them, the tunnel boring machine is a kind of comprehensive equipment that uses mechanical crushing of rocks, rakes and supports for continuous operation. According to the cutting process of the boring machine on the working surface, it is divided into a full-face road header and a partial plane Road Header. According to the operation mode, it can be divided into open road headers and shield road headers. 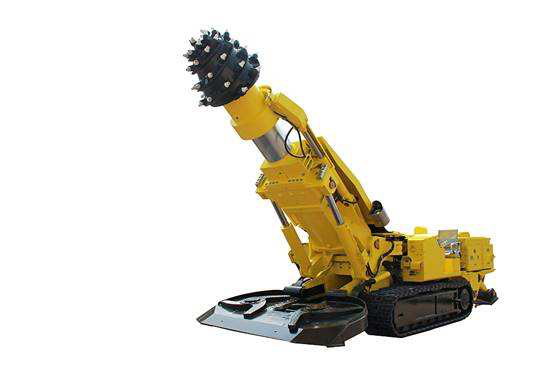 The former is known as the large-diameter full-face rock tunnel boring machine is a complete set of excavation, support and slag excavation equipment, known as the "aircraft carrier" and "king of the road header" Construction Machinery. The latter is known as the shield machine.